Marks & Spencer occupies a space in Gallagher Retail Park on Axletree Way, a 7.46 mile driving distance north-west of the centre of Birmingham, in Wednesbury (aside Junction 9 (Wednesbury) of M6). The store serves people mainly from the neighborhoods of Great Barr, Bentley, Wednesbury, Bescot, Darlston, Friar Park, Walsall, Caldmore and Palfrey. Today (on Thursday) it is open 8:00 am to 8:00 pm. 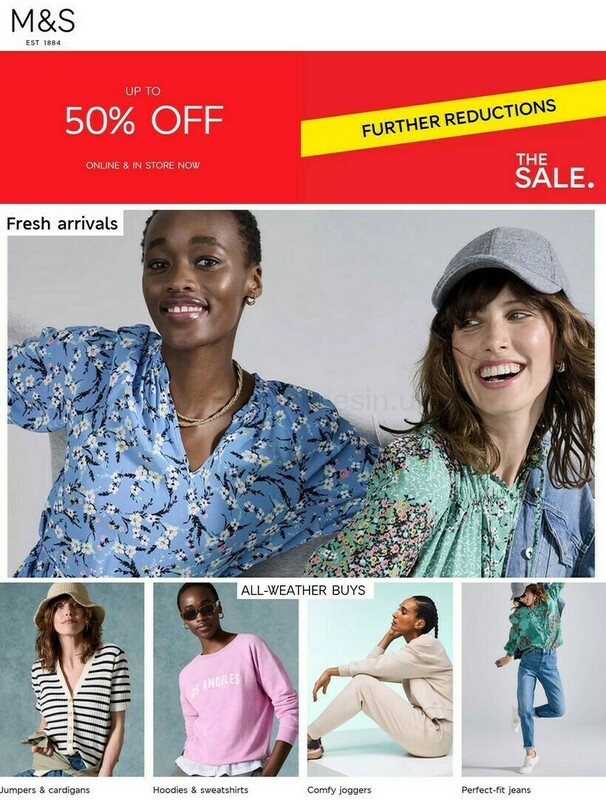 Please note the various sections on this page for specifics on Marks & Spencer Wednesbury, Junction 9, including the working times, navigation, contact number and additional information. Marks & Spencer occupies a convenient position in the vicinity of the crossroads of Axletree Way and Wood Green Road, in Wednesbury, Birmingham, at Gallagher Retail Park. Only a 1 minute drive time from Park Lane, Bescot Road, Wood Green Road or Junction 9 (Wednesbury) of M6; a 5 minute drive from Walsall Street, Wallows Lane/Broadway West or Darlaston Road; and a 8 minute trip from Black Country Route and Black Country New Road. If you are using GPS, please enter WS10 9QY. Take the bus to Park Lane/Bebee Road or Wood Green High School. Use the routes: 11, 13, 310, 311, 313 and 731. Regular tram services are reachable from Wednesbury Great Western Street (1.44 mi away). Trains operate directly to and from Bescot Stadium Station (3950 ft) and Walsall Station (1.70 mi away). Catch the London Midland line. In walking distance, you will find Walsall Golf Club, Bescot Retail Park, Jerome Retail ParkKings Hill Park, Brunswick Park, The University Of Wolverhampton - Walsall Campus, Gallagher Retail Park, Pleck Park, Saddlers Shopping Centre and Jerome Retail Park. There is currently a total number of 9 Marks & Spencer locations open in Birmingham, West Midlands. Navigate to this page for the entire list of all Marks & Spencer stores near Birmingham. During legal holidays, business times for Marks & Spencer in Wednesbury, Junction 9 may change from usual times shown above. These changes consist of Christmas, New Year's, Good Friday or Black Friday. It's recommended that you go to the official website or phone the customer care line at 0333 014 8555 to get precise information about Marks & Spencer Wednesbury, Junction 9 seasonal working hours. While shopping at Marks & Spencer, be sure to browse around the wide collection of fine quality stores in Gallagher Retail Park. In this place you'll also find Next, Decathlon, Furniture Village, Currys, TK Maxx, JD Sports, OUTFIT, Sofology, Tapi Carpets & Floors, Boots, Nando's, Costa Coffee, B&M and a few others. It is Opening Times in the UK's goal to supply you with the latest information as possible. If you find errors in the address or opening times for Marks & Spencer in Wednesbury, Junction 9, please use this form to report a problem. You are invited to state your comments on Marks & Spencer, and rate its location using the star ranking system.